These apples are full of yummy goodness! 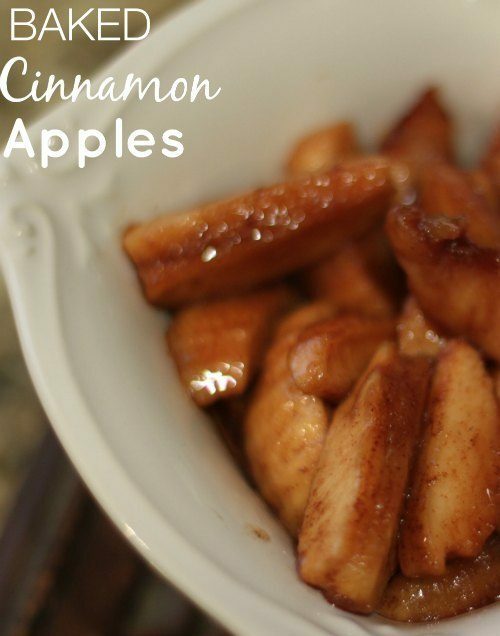 Baked with cinnamon, lemon juice, and brown sugar, it is a simple recipe that is packed full of sweet flavor. 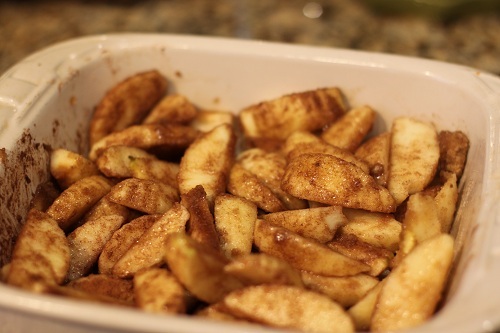 Use your favorite casserole dish to bake your apples. I love this peeler/corer combo for time saving on the apple prep. 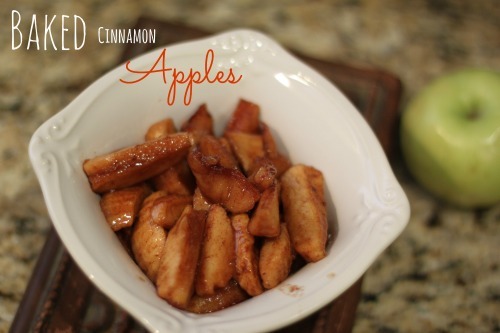 Toss apples, cinnamon, lemon juice and brown sugar together until coated. Cook for 30 minutes or until soft. I made these as a dessert for a dinner that had to be gluten free, dairy free, with allergies to bananas, coconut and chocolate! It was a hit and my kids loved that I let them eat the leftovers as breakfast the next day.